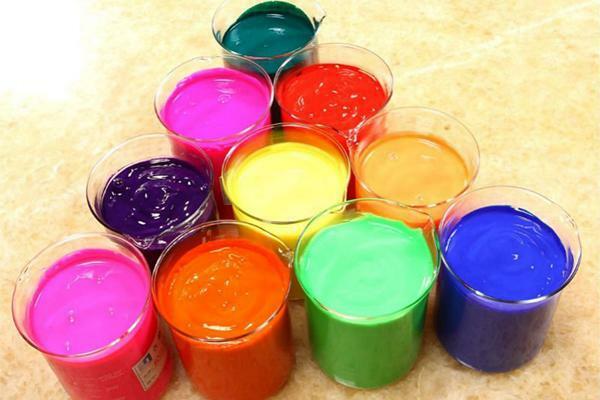 Home > Industry News > Can Nano TiO2 Outperform The Traditional Pigment Market In The Near Future? Surpassing the limited performance standards of traditional coating materials, nanocoatings are now being engineered to offer significant benefits for applications in the aerospace, defense, medical, marine, and oil industries - and have driven manufacturers to seek products that offer innovative properties and advanced functionalities, including UV-Resistance, Indoor Air Purification, Self-Cleaning Surfaces, Odor Control, Environmental Remediation, Conductive Materials, Anti-Microbial & Anti-Viral Properties, Anti-Mildew Applications, Anti-Corrosion Applications, and Many More! Ahead of his participation at the 2018 TiO2 World Summit, we reached out to Jan Prochazka, Ph.D., President of Advanced Materials JTJ, to learn more about the advanced performance capabilities, commercial applications, and overcoming challenges to promote the broad adoption of nano TiO2. Q1. What do you think are the greatest benefits and key market drivers for Nano Tio2? I can imagine number of different applications improving economy of many processes and saving our environment (Economy & Ecology). While tens of thousands of tons of nano TiO2 can be implemented into plastics to accelerate their decomposition in the environment when exposed to daylight (make ecologically fast degradable plastic materials), I see the real volume market for nano TiO2 in protective intelligent multifunctional coatings. The photocatalytic coating stop UV degradation, soiling and erosion of facades and structures (Economy) and at the same time, they can be used to significantly lower the emissions in urban areas (Ecology). For interior applications, nano TiO2 coatings can eliminate viruses, bacteria, mold and allergens concentrations to reduce airborne infections and number of sick days, while increasing comfort of living (Economy). At the same time, according to LCA, the nano TiO2 coatings are 3-10x more ecological at air purification than traditional air purifiers (Ecology). With the photocatalytic air purifying coatings on the walls and ceiling, even in the worst smog situation, you can simply protect yourself and family from the exhalations and breathe relatively good air inside your house. Summarizing, nano TiO2 can be used for protective coatings and plastics in nearly same volume as today's TiO2 pigments. Q2. Can you tell us a little about the current commercial applications of nano Tio2? Are there any recent developments or future applications that you can share? Living in contaminated environment for about 100 years, with our urban agglomerations rapidly growing, there is a desire and necessity for controls and finding ways how to maintain healthier conditions. The latest movements "Smart Cities", "Smart Houses" and the desperate conditions in some parts o our globe, promote new look at the way we live and build houses and cities. Mold is sometimes called asbestos of 21 century and better insulating organic materials often promote growth of these microorganisms. With this new approach, ceilings of our houses painted with nano TiO2 photocatalytic coatings, functioning and a powerful air purifier can quickly become a new standard in the construction industry. Other emerging applications are water cleaning, soil depollution, atmosphere decontamination, prevention of SBS (Sick Building Syndrome), control of MRSA and super bug and reducing Hospital Acquired Diseases. Too many to list. Q3. What has been the biggest challenge in broad adoption of Nano Tio2? Adoption will take time as with anything else, but the nano TiO2 market is growing much faster than the traditional pigment market. Obstructions are many - many bad products with unrealistic claims, discrediting the whole field, no norms and methods to protect the customers and manufacturers, conservatisms of the traditional industries and construction businesses, no investment money. Till recent, it was a hardship to prove the effects by simple and affordable measurement methods. Competition, regulations, hysteria about nanoparticles and many more aspects put an efficient break on the development. However, despite of all the above, the obstructions are systematically overcome and the time for mass use of nano TiO2 is nearly here.